There are currently no Elder notable alumni listed. 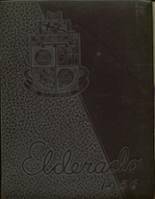 Be the first to add an EHS famous alumni. If you know someone who graduated from EHS in Cincinnati, OH that has passed away, you can create a memorial for them. 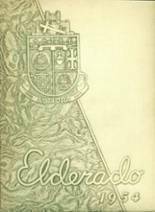 This site has been created for the former students of Elder located in Cincinnati, Ohio. 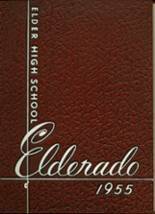 Elder High School alumni can relive their experiences from high school by sharing memories and pictures, reconnecting with those alumni listed, and more. If you are a former student of Elder High in Cincinnati, Ohio, register now to add your name. Mike Harris has someone searching for them. Michael Senger has someone searching for them. Kevin Gerdes has someone searching for them. Clement Schwaub has someone searching for them. Chick Ludwig added photos to their personal photo gallery. Chick Ludwig registered as a EHS Class of 1972 alumni. Chick Ludwig updated his profile picture. Tom Koeninger updated his profile picture. Tom Koeninger added photos to their personal photo gallery. Tom Koeninger registered as a EHS alumni. Thomas Imhoff updated his profile picture. Thomas Imhoff added photos to their personal photo gallery. Thomas Imhoff registered as a EHS Class of 1965 alumni.